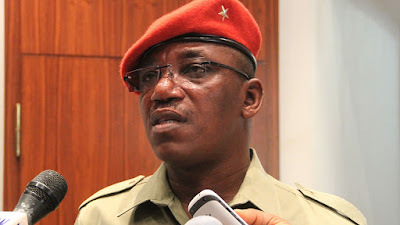 Sports Minister, Solomon Dalung has made a blunder and people have started calling him names on social media and retweeting the blunder. 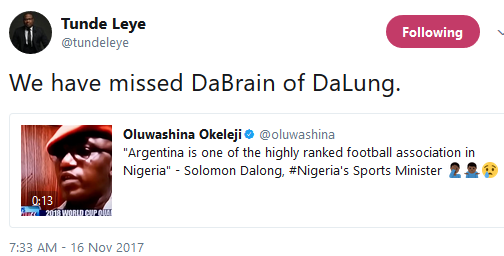 In a video already going viral, the Sports Minister was heard saying; "Argentina is one of the highly ranked football association in Nigeria". Argentina, Nigeria? How? Lol. You can also listen for yourself after the cut. People have already started calling him out.